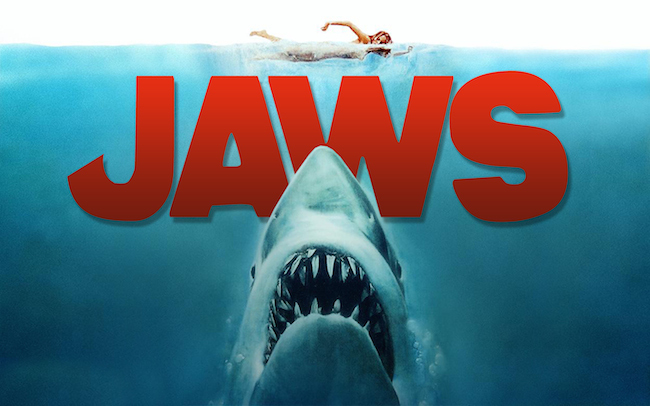 Discover the filming locations of Jaws (1975), Steven Spielberg’s horror masterpiece that traumatized generations of spectators and still influences movies to this day. Jaws was almost entirely shot in Martha’s Vineyard, an island in Massachusetts (US) in the North Atlantic Ocean. In case you ever want to see Martha’s Vineyard with your own eyes, check out the island’s official tourist information page. 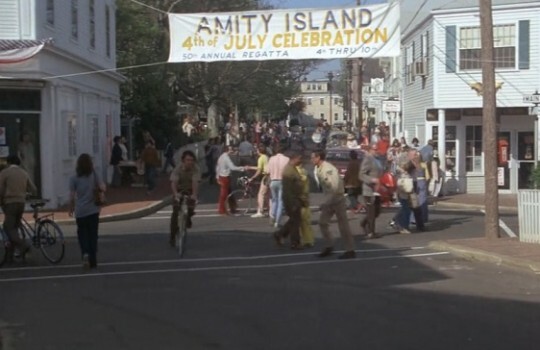 After discovering the first of many shark attacks in quiet Amity Island, police chief Martin Brody (Roy Scheider) buys supplies in the town center to close the beach and prevent any more victims. The shop is located at the junction of Water Street and Main Street in Edgartown in Martha's Vineyard. 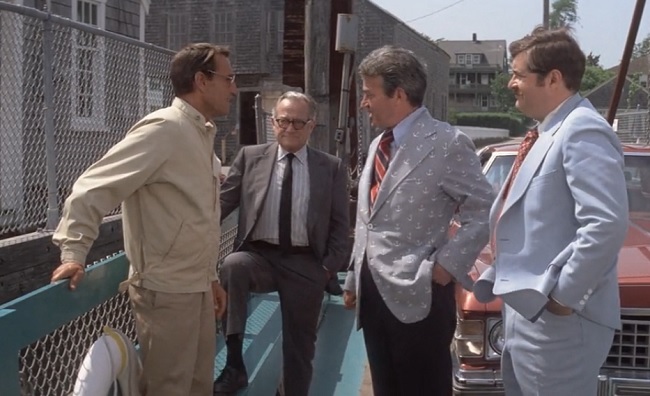 The mayor overrules Brody and refuses to close Amity's beaches. 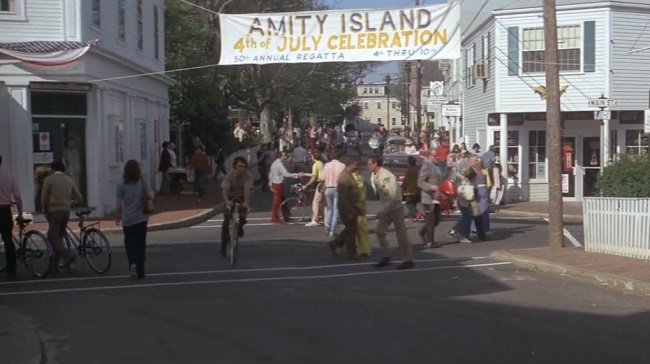 Many tourists arrive for the fourth of July and, to protect them, Amity's authorities establish a 'safe' perimeter within a pond. 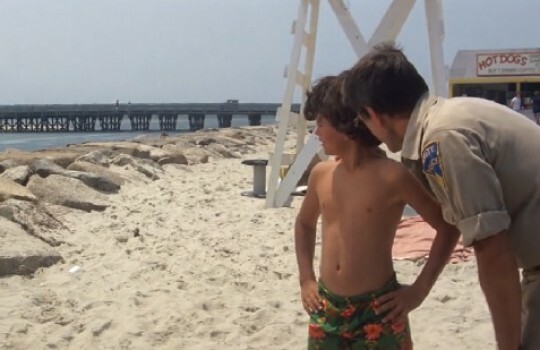 In vain: the shark makes another victim and traumatizes Brody's son in the same occasion. The pond is Sengekontacket Pond and the bridge that goes over it is the American Legion Memorial Bridge in Edgartown in Martha's vineyard. After recognizing his error, Amity's mayor authorizes Brody to hire an expert to hunt down and kill the shark. 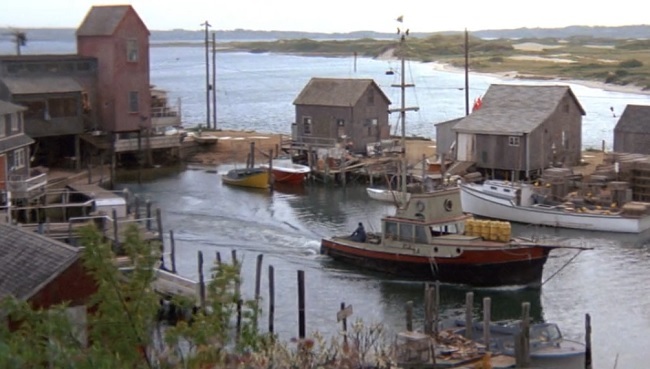 Quint (Robert Shaw)'s workshed on the port of Amity where Brody visits him was actually a built set (now destroyed) on the port of Menemsha in the town of Chilmark in Martha's Vineyard. Brody: It doesn't make any sense when you pay a guy like you to watch sharks. 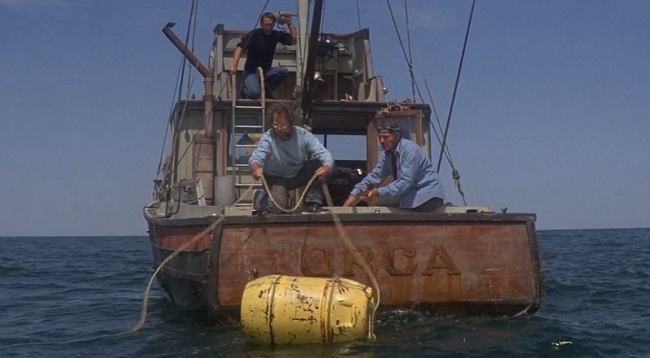 Hooper: Well, uh, it doesn't make much sense for a guy who hates the water to live on an island either. Brody: It's only an island if you look at it from the water. 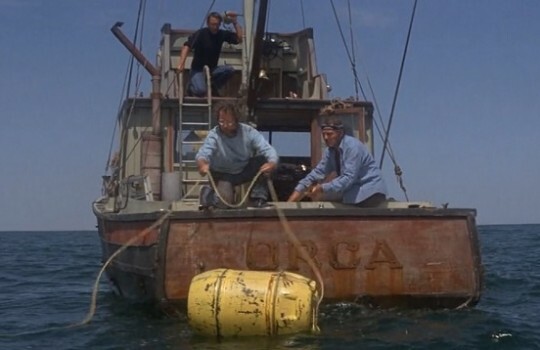 The expedition made of Brody, Quint and Matt (Richard Dreyfuss) embarks on Orca, Quint's boat, to try and get rid of Amity's waters' terror. Who will make it back? 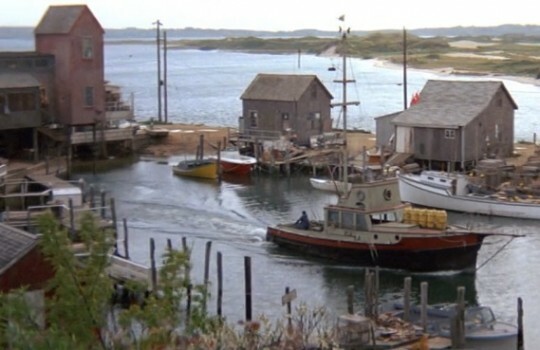 The shark hunting scenes in the sea that take almost the full second half of Jaws were filmed near Oak Bluffs and East Chop in the bay of Martha's Vineyards.